Each direction you look you will see different words shining. The size of the frame is 12 x 18 x 1" (width x height x depth). The edge of the black frame is made of metal with wood backing. 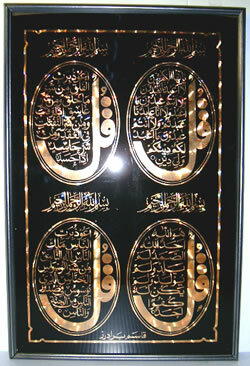 Note: Due to the nature of the frame & shining calligraphy the picture may not be clear .